Digital marketing has taken off in recent years and is certainly an important channel to pursue, but the power of traditional marketing methods should not be underestimated. Although digital marketing trends receive a lot of attention, the fact remains that it is necessary to reach your target audience across as many channels as possible, including through the mail. Direct mail marketing is an essential component of any successful multi-channel marketing strategy. Direct mail is a great way to make an impression on your customers with a message or offer that pertains to them, putting the information about your product or service directly into their hands. With direct mail marketing, you can reach a specific targeted audience with specialized offers that have been personalized for them. With AdSoft Direct software, you can create marketing collateral that is designed for a specific group of customers in a specific region. Our software allows you to create localized marketing products tailored to audiences in different areas. This might include flyers, cards, brochures, letters, and other custom or promotional items. These high-quality materials will be coordinated to deliver messages that are timely and in line with your brand’s messaging. 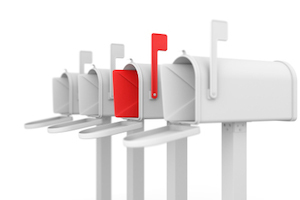 Another added value of a direct mail marketing campaign is that the results are measurable. Tracking the results of your campaign will help you determine how to develop increasingly effective marketing materials for every local region your are trying to reach. Unlike digital marketing methods, direct mail campaigns involve a tangible aspect that allows customers to physically interact with the marketing material. It has been proven through research that direct mail has a deeper effect on the brain. Global research agency Millward Brown confirmed this result in 2009. This research also confirmed that tangible materials were able to generate more emotional stimulation, making them more memorable. When it comes to branding, emotional connections make a big difference. Since 85 percent of consumers prefer to do business with companies they feel an emotional connection to, the ability to create this feeling is a powerful marketing tool, and direct mail campaigns help make it happen. Customized, tailored messaging is essential for a direct mail marketing campaign that will have an impact. 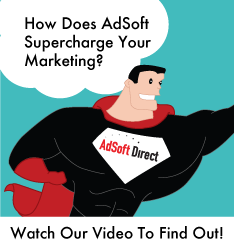 AdSoft Direct software allows you to customize your campaigns depending on the needs of your audience. This aspect of your campaign is easy to manage from any location, allowing you to add a personalized touch to local campaigns. Your direct mail marketing campaign works in conjunction with other local marketing efforts, allowing your business to maintain brand and legal compliance throughout locations across multiple geographic regions. Customizing your marketing materials makes it possible to deliver materials featuring content with differing tones and content to different types of customers. The logistics of printing multiple materials can get complicated, but with our national vendor network, you are able to access over 20 certified print and fulfillment facilities, allowing a single order to be routed to multiple print vendors. This way, your targeted branding efforts will remain consistent and on-message no matter where they are being delivered.